Wembley and Barça understand each other. With the 4-2 win over Tottenham Hotspur, Barça extend their unbeaten run at the famous London stadium even further. The Club first played at the stadium in 1992 and the run has continued up to 2018 with four victories in four matches. Wembley saw Barça lift their first European Cup with a 1-0 victory in May 1992 thanks to a free kick from Ronald Koeman, which will always remain in the memory of all blaugranes. The Dutchman’s strike went past Sampdoria’s goalkeeper like a missile to help Johan Cruyff’s team to European glory. In 2011, Wembley was again witness to the blaugranes’ Champions League victory. This time they defeated Manchester United 3-1. Pedro, Messi, and Villa put the Club back on top of the pile in Europe and they did so with some memorable football. 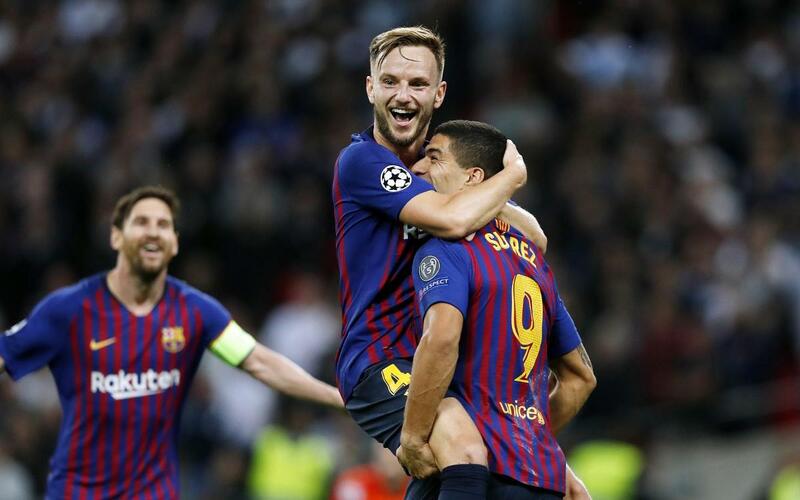 Barça don’t just win when they play at Wembley, they enjoy themselves. In 1999, against Arsenal, the blaugranes beat Arsene Wenger’s side 4-2. This Wednesday’s win against their London rivals by the same score line confirms the special performances witnessed here. Also, Rakitic’s goal was FC Barcelona’s 600th in Europe’s top competition.